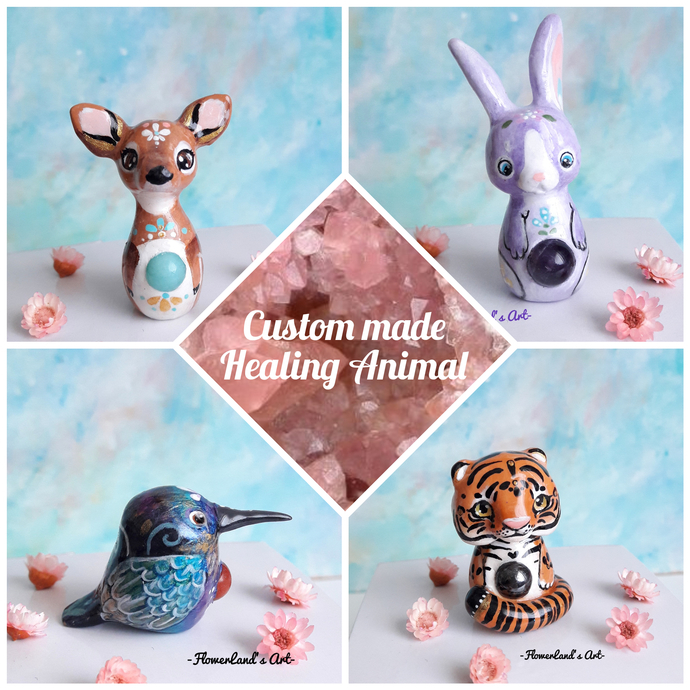 The Healing Animals are tiny creatures with healing crystals to give you good vibes. I've matched the power of healing stone with the power of the animal totem to make something that can helps you in your every day life. You can keep them inside your pocket, on the desk and anywhere you want. -I'll select two or three stones, I'll text you the descriptions and you'll pick the best one to you! -I send you a sketch before start making it. -I use genuine gemstones and top quality natural air dry clay. -Any piece is hand sculpted and hand painted. -To make them stronger I coat them with resin, it also make them looking like glossy ceramic pieces. -You receive it together with a laminated cardboard with the description. -You receive them inside a cute pouch.